As any discerning gentleman knows, getting there in style and reliably is paramount. 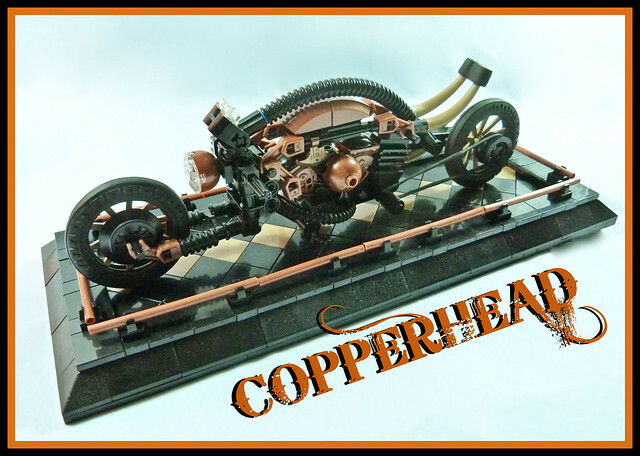 The Martins Copperhead Steam Powered Bike is as powerful as any $2000 gasoline powered motor vehicle on the market. Two cycle steam generates over eight horses of power and can tops speeds of 15 miles per hour. The Extended saddle comfortable seats one or two. Can be refueled in less than five minutes.